Basketball Blueprint is an easy-to-use mobile app that will simplify your coaching job, eliminate stress, and help you achieve more success on the court. 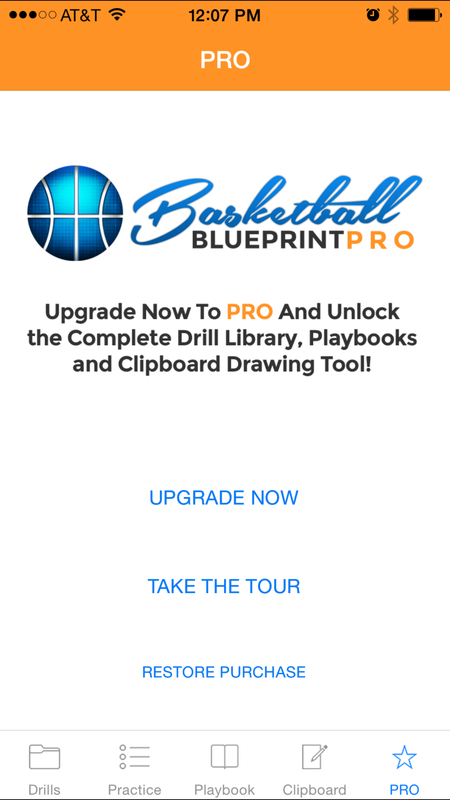 Inside, you’ll discover more than 180 championship proven drills and plays, along with innovative tools to plan your practices and create your own custom playbook. Visit our features page for more details. Easy-peasy. Just click or tap the Apple App Store or Google Play buttons at the bottom of this page. You will be taken to the app store listing page. Then, just tap the "Install" or "Free" button, and follow the instructions to download the app to your device. 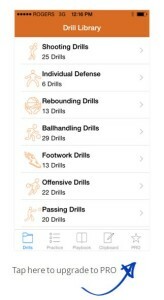 Basketball Blueprint is available for all smartphones and tablets running the iOS or Android operating system. You can download the app from the Apple App Store or Google Play Store. Yes! The free version of Basketball Blueprint gives you instant access to more than 30 championship proven drills from some of the world's greatest coaches. Additional drill packs, playbooks, and coaching tools can be unlocked for a small fee. 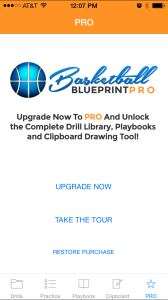 Upgrading to Basketball Blueprint PRO unlocks all drill packs and playbooks, along with the Practice Builder and Clipboard Tool. To upgrade on iOS devices, tap the PRO button in the bottom right corner of the app. Follow the prompts to complete your upgrade and access the unlocked content. To upgrade on Android devices, tap the menu in the upper left corner, choose Pro from the dropdown, and follow the prompts to complete the upgrade. In-app purchases can be activated for additional devices on the same platform. For example, if you upgrade to PRO on your iPhone, you can also view the PRO content on your iPad. Or, if you uprade to PRO on your Android phone, you can also view the PRO content on your Android tablet. Unfortunately, you cannot transfer in-app purchases between different platforms. In other words, purchases made in the Apple app store cannot be transferred to your Google Play account, and vice versa. Here's how to transfer purchases within a single platform.